Known for its striking deep-orange colour, Mimolette was apparently created to mimic Dutch cheeses during a time of trade restrictions. While the colour may suggest a ‘strong, bitey’ cheese, the flavour is actually quite round and smooth. It has a predominantly hazelnutty flavour with hints of salt and butterscotch on the end palate. 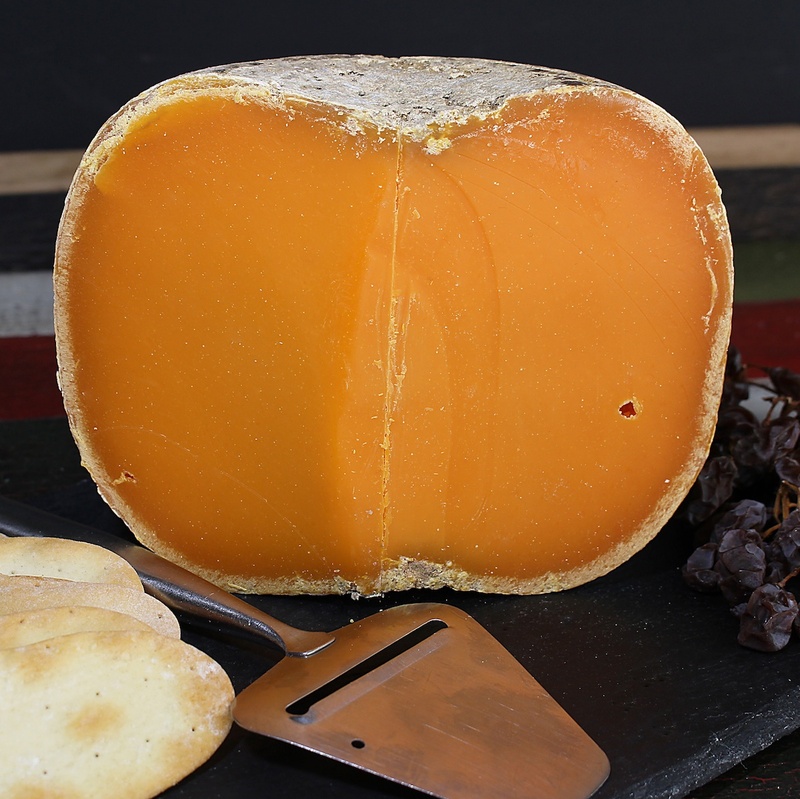 Mimolette is very wine friendly, pairing well with a variety of sparkling, white and red wines. Categories: Cheese, Cow, Firm, Hard and Crumbly.